In the age of digital music it seems striking that so many of us still want to produce music concretely with our bodies, through the movement of our limbs, lungs and fingers, in contact with those materials and objects which are capable of producing sounds. The huge sales figures of musical instruments in the global market, and the amount of time and effort people of all ages invest in mastering the tools of music, make it clear that playing musical instruments is an important phenomenon in human life. 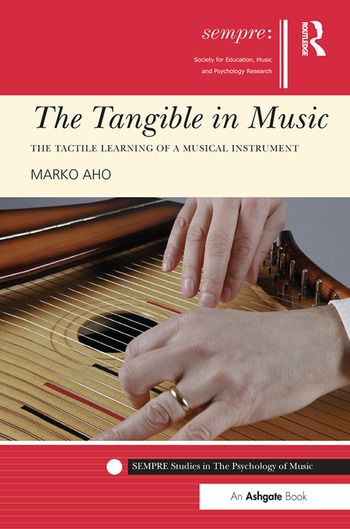 By combining the findings made in music psychology and performative ethnomusicology, Marko Aho shows how playing a musical instrument, and the pleasure musicians get from it, emerges from an intimate dialogue between the personally felt body and the sounding instrument. An introduction to the general aspects of the tactile resources of musical instruments, musical style and the musician is followed by an analysis of the learning process of the regional kantele style of the Perho river valley in Finnish Central Ostrobothnia. Marko Aho is an ethnomusicologist and has written extensively on musical instruments and music making. He teaches courses on organology and related areas, and holds an adjunct professorship at the University of Tampere. He is also pursuing a degree in instrument building, and lives in Sastamala, Finland.